Maree was greeted yesterday by a pig being butchered in her front yard. She took it pretty well. Please note that this weekend at Maplewood State Park is Leaf Days, a great opportunity to check out leaves in their autumnal glory. If you’re making the trek to the party, you could make a day of it. Parsnips: Those loose white things which look like carrots. Buttercup or Kabocha Squash: These two really look a lot alike. A kabocha is rounder than a buttercup and more yellow on the inside than the orange-fleshed buttercup. Spinach: Some is red and some is green. Both kinds really got messed up by the hail last week, so it doesn’t look the best, but the holes won’t make it taste badly. I remember when I was a teenager, my grandpa had me take a copy of the magazine “Spudman” from a shelf so he could proudly show me a picture of himself hosing down potatoes in some non-descript warehouse in East Grand Fords. “You see, I’m famous…I made the big time…” he said, teasing. My grandpa Adolph–a name that went out of style for good reason–worked 3-4 jobs in this prairie town to support a family of 11 kids, one as hired man working the potato fields which surrounded the town and another in the dank warehouses which were East Side’s defining feature (besides the 60+ bars back in the day). You see, unlike other farmers who point back to long lineage of farm owners and operators, my own past is filled primarily with landless peasants and farm laborers. In a similar way to my grandpa who traveled to EGF from Floodwood in the 30’s, my grandma Adele’s family brought themselves to the Red River Valley in the midst of the depression. They came to work the fields because, no matter how tough hoeing potatoes sounds, it sure beat the poverty and shame of the Turtle Mountain Reservation. 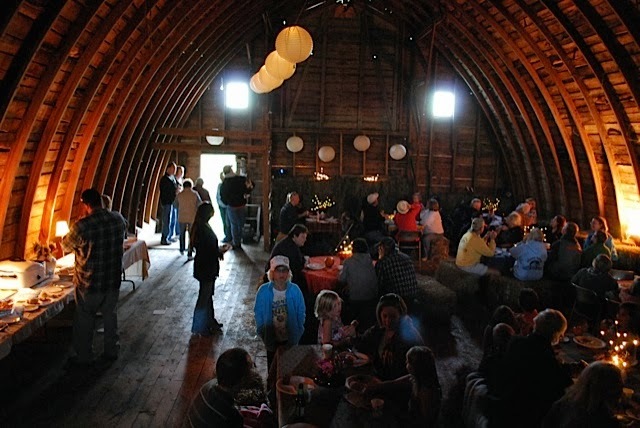 I bring up my family’s farming history because our past always follows us around – it’s part of who we are. Today, as I gathered up the first of the big Pontiac potatoes with those deep-set eyes, I couldn’t help but think about my grandpa. 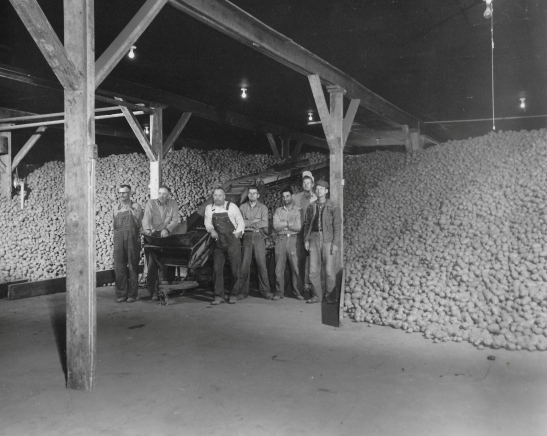 This red potato, together with the Norland variety we also grow, was a mainstay of the Red River Valley potato business. I’m sure Adolph spent many an hour digging the same variety out of the ground, and, like myself, washing them. 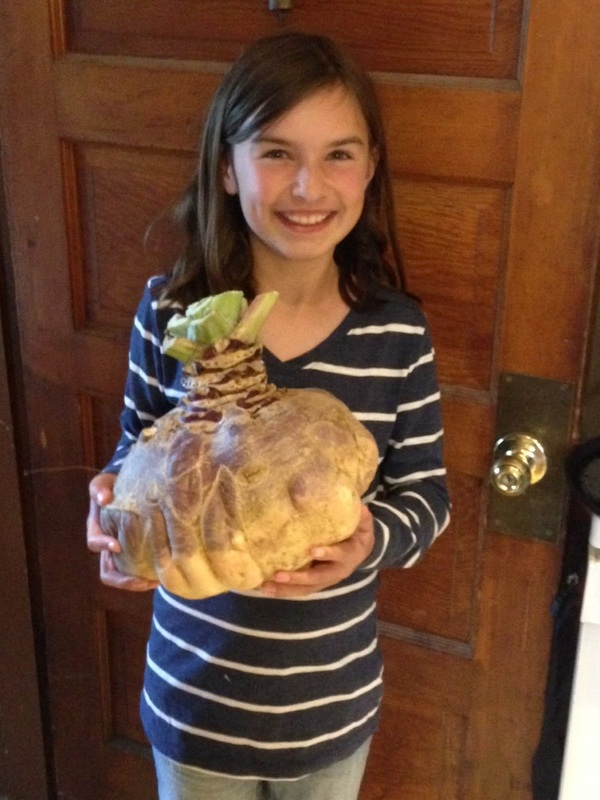 It took three generations, but this younger Spudman can say these potatoes came out of his own ground. The inspration to work hard and care for his family came from elder. Arugula: This was much prettier a few days ago before the monsoon and hail. This time of year we start to pull in some big harvests. 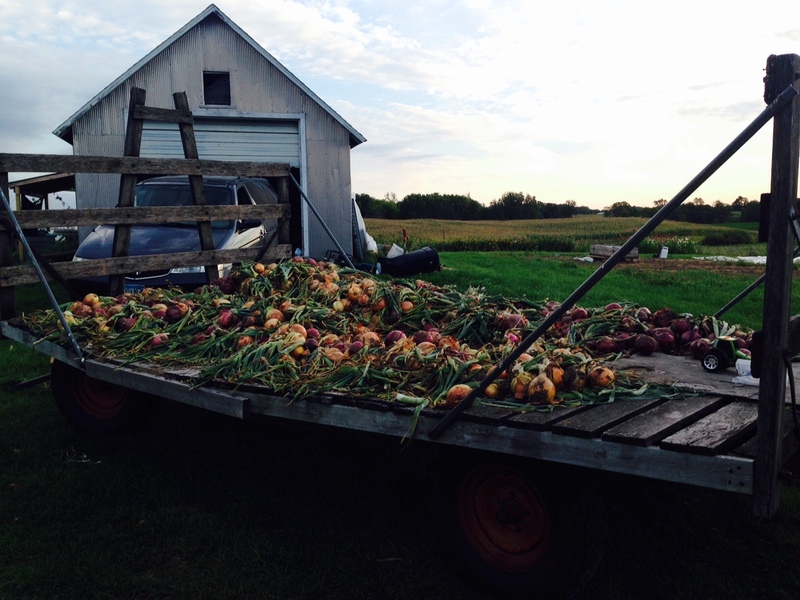 Earlier this week was the onion harvest, but coming up is still very heavy winter squash and potato harvests. In the middle of the summer we just pull in the bit of a crop that we need, but, as cold weather and frosts become possible as we move into september, we need to pull in an entire crop to keep it safe and sound. Edamame: Yes, the big bunch of soybeans stuffed in your box. Pull the pods or beans off the stalk, boil in saltwater a few minutes, and serve. You pop the bean out of the pod into your mouth…think a snack with a beer. Black Spanish Radishes: Bunch with blue band and greens. These are radishes that get big like a racketball. With their rough outside, you need to peel these before using. Italia pepper: The long red/green pepper – sweet, not hot. Cippolini onion: The flat onion…really my favorite. It’s pungent with a good flavor, so use as you would a yellow onion in cooking. Melon: Some received a yellow canary melon, some a cantaloupe. Delicata winter squash: First squash of the year. Cut in half, remove seeds, and bake face down on a cookie sheet until soft.